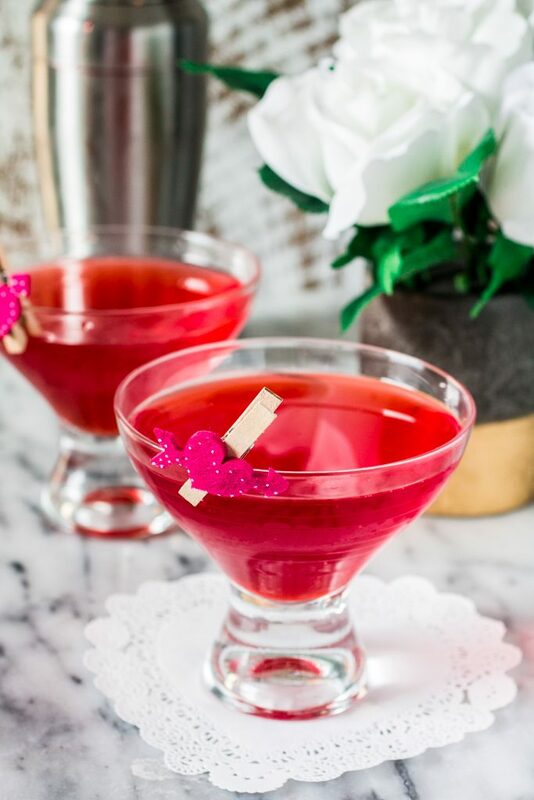 You didn’t think I would let Valentine’s Day go by without a themed cocktail, did you? Today I’m keeping it short and sweet. Just like this Russian Kiss Cocktail! I know I say this every time I post a cocktail, but I really don’t post enough drink recipes, considering I’m a bartender and all. Definitely going to work on that in 2016 and try to get some delicious and fun boozy creations here every month! 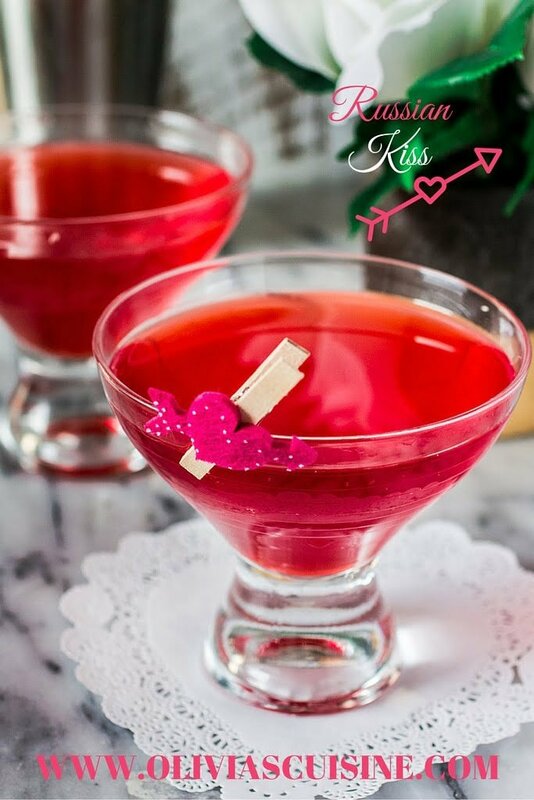 I wanted to share this Russian Kiss Cocktail because not only it looks perfect for Valentine’s Day, it is a very easy and simple recipe. I feel like I’ve been writing these two words a lot lately. Call me lazy, but I’m at a “minimal effort” phase in my life. Just watch my mom read this and leave a comment, saying it’s not a phase. “You’ve been like that your whole life!” Oops! ? The truth is: you don’t need to put a lot of work into a cocktail for it to be delicious. 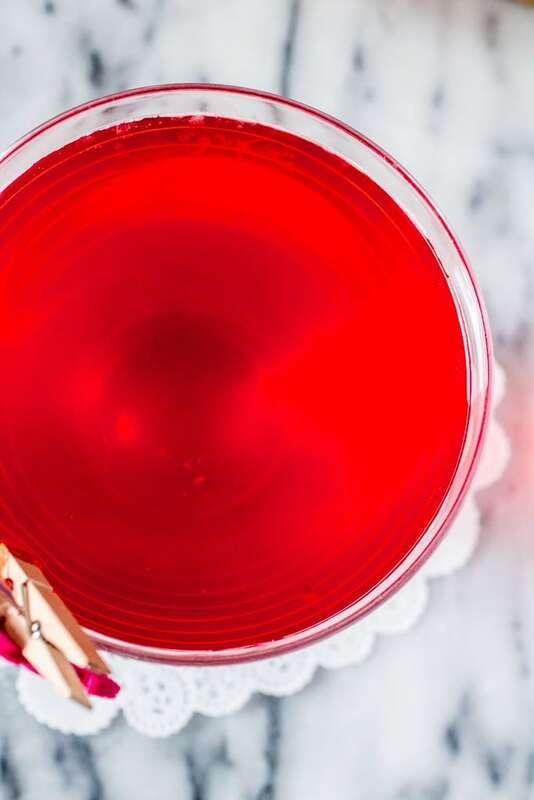 This Russian Kiss cocktail is gently sweet with the Grenadine and I guess you could consider it a spiked version of a Shirley Temple, especially if you make it with lemon-lime soda. Americans call a boozy Shirley Temple a Dirty Shirley. 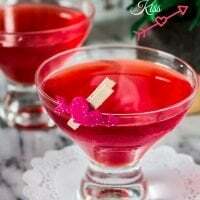 But this drink is called Russian Kiss in Brazil, and I thought it was a way more interesting name, don’t you agree? In reality, it really doesn’t matter how you call it. It will be delicious nevertheless! Before we part ways, a quick tip on cocktail making. I see lots of cocktail recipes in the Internet telling people to shake carbonated drinks. Don’t do that! Ever! If you’re using the shaker, shake all the non carbonated drinks and then add the fizzy stuff before you strain. If you shake soda, it will go flat or, worse, explode on your face! ??? Muddle the cherries and add them to the shaker with the grenadine, vodka and ice. Strain to a cocktail glass and decorate with more cocktail cherries, if desired.